Women's Deep Sea Siren Costume By: Leg Avenue for the 2015 Costume season. Have you ever wanted to lure sailors to their demise with your unmatched beauty and your delectable song? That's a pretty strange dream, but we like to help anyone with a strange dream! 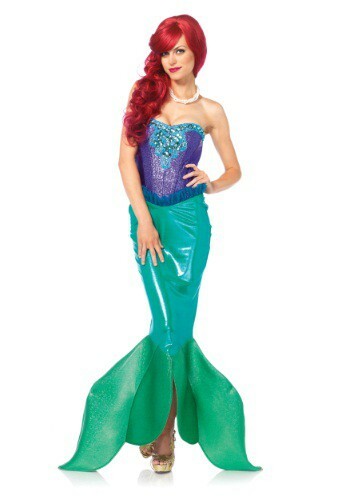 This Women's Deep Sea Siren Costume gives you the classic mermaid look that will match your silky, sweet voice. You can hang out on the beach and sing to sailors, or just regale your friends with your own rendition of pop songs! You're going to look good doing either!